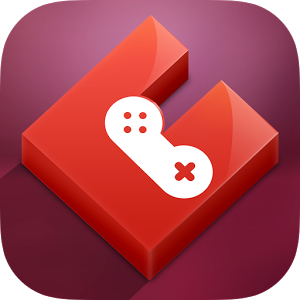 Hello Dealsnloot Readers,Gamentio is a newly launched site to play games like Rummy, Poker, TeenPatti, etc. As a promotional offer now they are offering Refer & Earn offer through which you can earn Amazon & MyGyftr Vouchers by referring your friends. 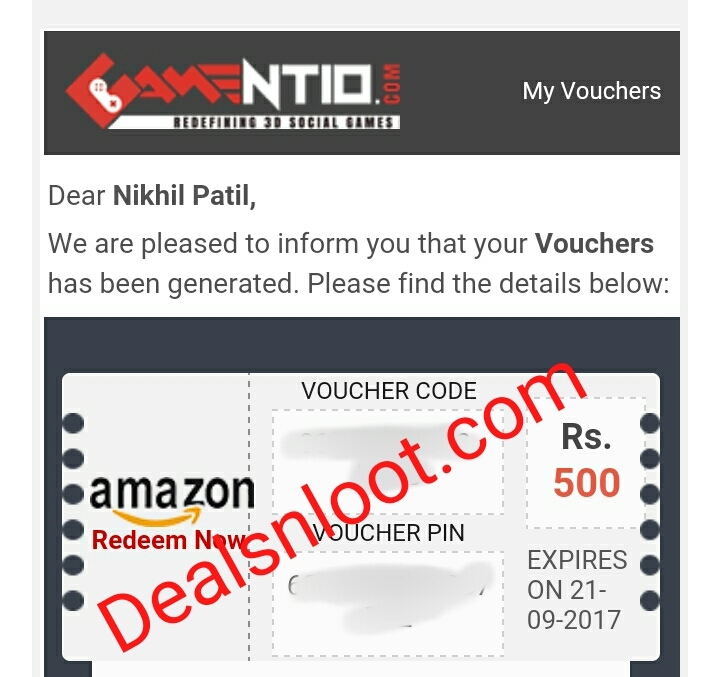 Your friend just have to login using your referral link and they will also get 50 points as a Sign Up bonus so let's proceed and check out more detailed info regards this site.Play, Share and Invite your friends on Gamentio and get cool Recharge and Shopping vouchers. Sign Up via your Verified Facebook Account and you will get 200 Points on Sign Up. Share your refer link with your Friends and earn 500 Points per refer. You can redeem your points as a MYGFTR Recharge Vouchers or Amazon Gift Vouchers too.So Hurry !!! 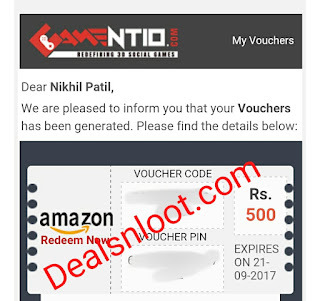 Grab This Loot Recharge & Amazon Vouchers. Update :- Due To Heavy Load On Site Gamentio Site Work Slow.So Try Again And Again.Also Wait For Load Site. 2. Click on Register Now Option. 3. Now Click on Sign Up Via Facebook. NOTE : Do not register via Email id or any other way. LOGIN Via FACEBOOK Only. 4. Allow Facebook to Share Gameinto on Facebook. 5. You will redirect to Your Profile and you will get 500 Points instantly (Rs 50). 6. Go To Home Page of Gameinto. 7. You will see a banner like this on homepage. Click on It and Get Your Refer Link. Share it with your friends and start earning 700 Points per Refer. That’s you will get voucher within 5 Days.